There’s this narrative about the border championed by Donald Trump that everyone we talked to here in New Mexico, Texas, Ciudad Juárez and Tijuana deems inaccurate. Locals believe a good chunk of the rest of the country thinks life here is black and white. But talking to people on both sides of the fence quickly reveals existence here is not such, and is very united. Towns are not separate. They are also not full of villains. Families are not all undocumented or right wing. There is mundane life as well as humor. These are just some examples that I found somewhat amusing and telling of how life at the border is a bit more complicated than what it seems. It’s a March early afternoon under the blazing sun in New Mexico. A meter from the border wall, Viper, a member of a small citizen militia, is patrolling with thorough care. 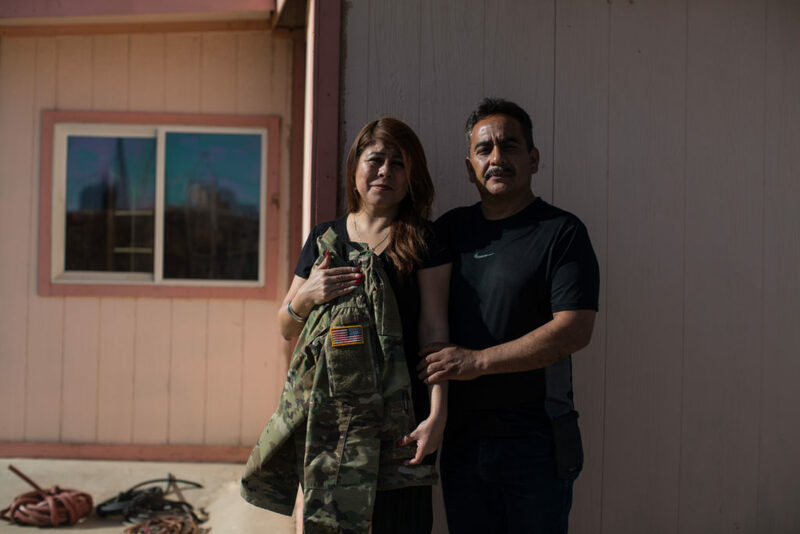 Hugging an AR-15, he takes each step slowly, looking in both directions as if he was about to step on a grenade or face dangerous criminals aboard a military tank. His gear is from his days at the Army. The landscape reminds him of Afghanistan. He thinks there’s an invasion coming, this is a warzone and it’s his duty to patrol the border. Atop the closest hill his colleague disguised with a vegetation suit (aka Chewbacca) lays down with another long weapon making sure the horizon is clear. They’ve been doing this for the last 11 days, and they say they will stay here until they feel they’re no longer needed. 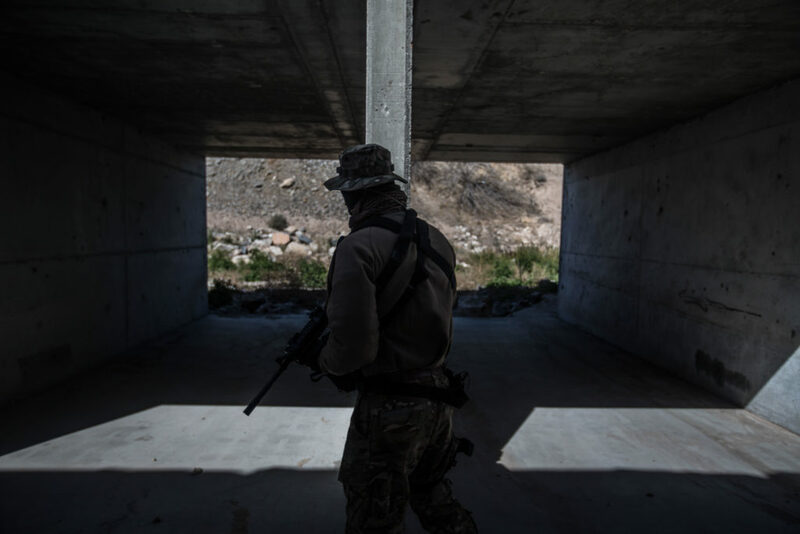 Their commander at their base camp is vehement: he sees their role as key to help Border Patrol with the loads of migrants coming through the border. And the worst is yet to come – he warns. Back with Viper near the wall, silence gets interrupted by a Border Patrol car pulling in. Border Patrol agent: You guys, we appreciate your efforts. You understand that, right? Border Patrol agent: But you’re being called by a high point. We’re thinking you guys are aliens, OK? Number one. Number two, this is federal land government here. When you guys are doing something here it messes with our operations. You guys are kind of really in our way! You understand? 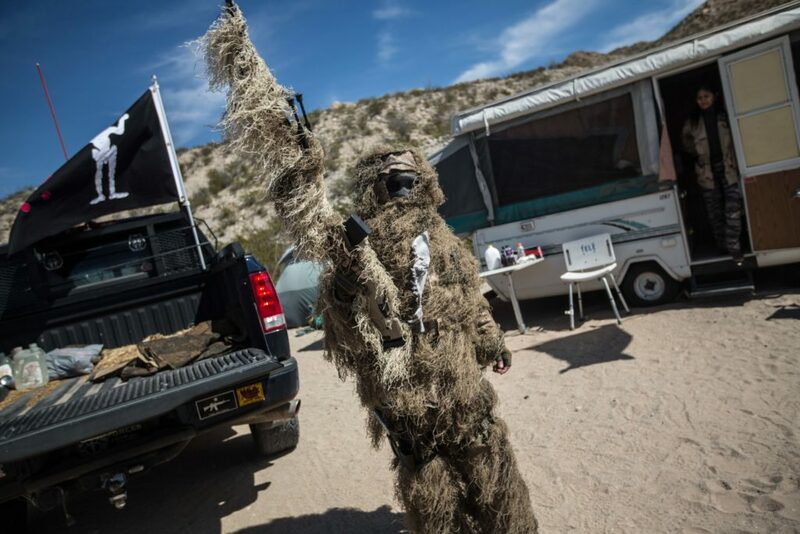 Going back to the camp, Chewbacca shows up with his disguised AR-15 from behind a small bush. Another hard day “apprehending illegals” at the border. The wife is undocumented; she has been so for many, many years. The husband is a U.S. citizen. They both live in El Paso, Texas. It’s a long story why they were never able to get her papers. They have three kids. The youngest is a girl – 8 years old. The other two are both male, in their early 20s AND in the Army. 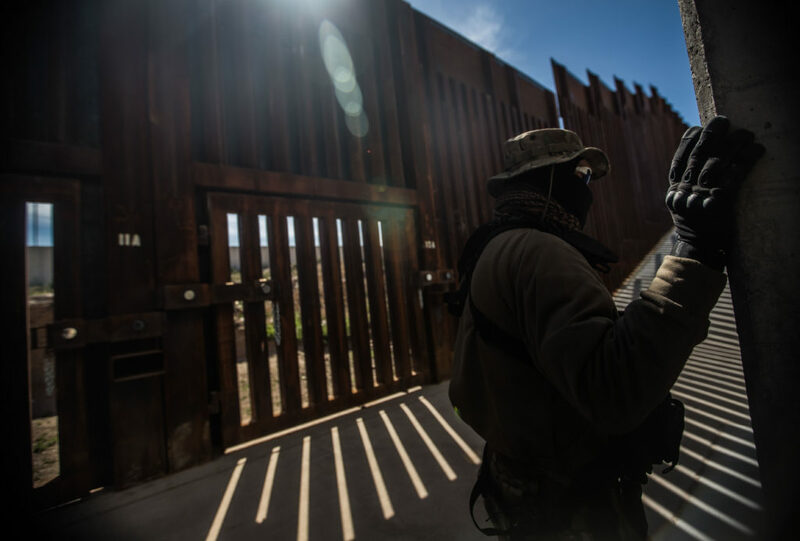 One of them was part of the forces sent to the border before Thanksgiving to help Border Patrol, and he’s still stationed there helping contain any undocumented immigrants trying to come into the country. The sons see their being in the Army as a contradiction they have to live with. They enrolled because it paid school and had great benefits; they liked the idea of working for the government. After an initial upset, the mom felt really proud of them. We ask several times if/how she wants to have her picture taken, explaining there are ways to disguise her identity and take a portrait where she would not be recognized if she is scared. 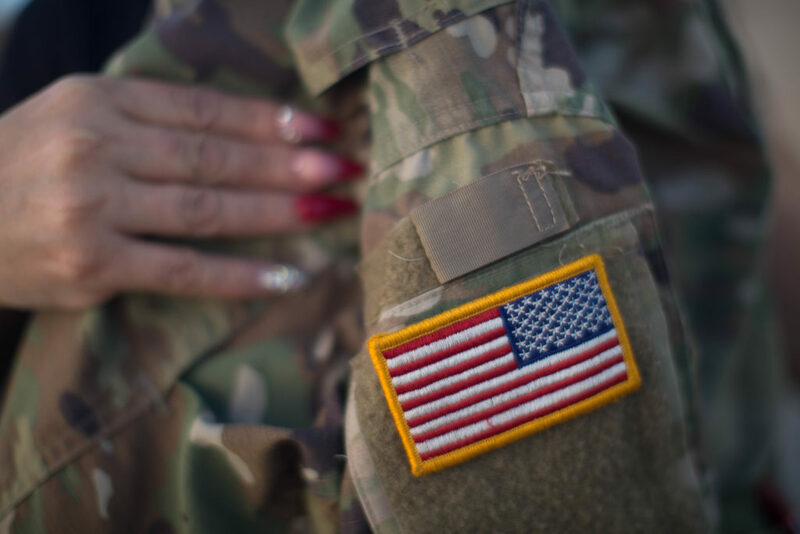 She wants to hold her son’s uniform and smile. I lost count of the number of people who told us they could not talk to us about the border stories we are reporting (some of them pertaining to authorities) because a) “well, my relative is from Border Patrol” b) “well, my relative works for ICE” c) “well, my relative has no papers”. Here in border areas it’s extremely common to have those three intermingle. 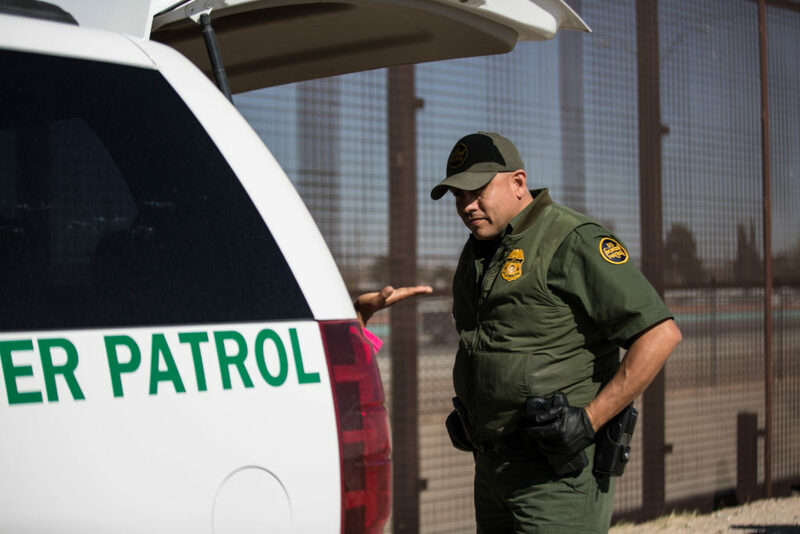 Being Customs and Border Patrol (CBP) and Immigration and Customs Enforcement (ICE) two of the main job suppliers in the area, it’s a natural draw for U.S. citizens looking for work: the jobs pay better than others available (in some areas not many available) and offer a bit more of prospect. Yet, many agents have direct relatives, friends and neighbors who are undocumented. And the other way around, many people who have no papers who trust ICE and CBP neighbors. 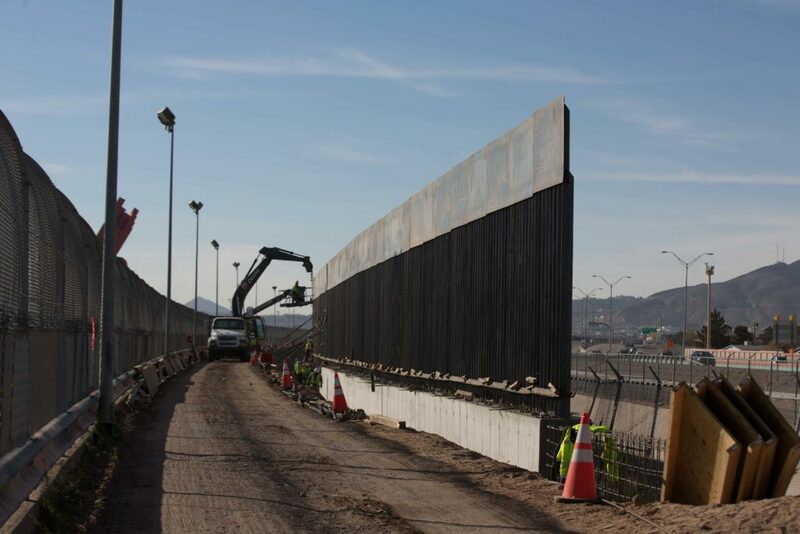 In El Paso sector we visited in the company of Border Patrol a piece of wall being built – with Obama funding. Good reminder: no expansion of the wall is taking place under Trump yet. 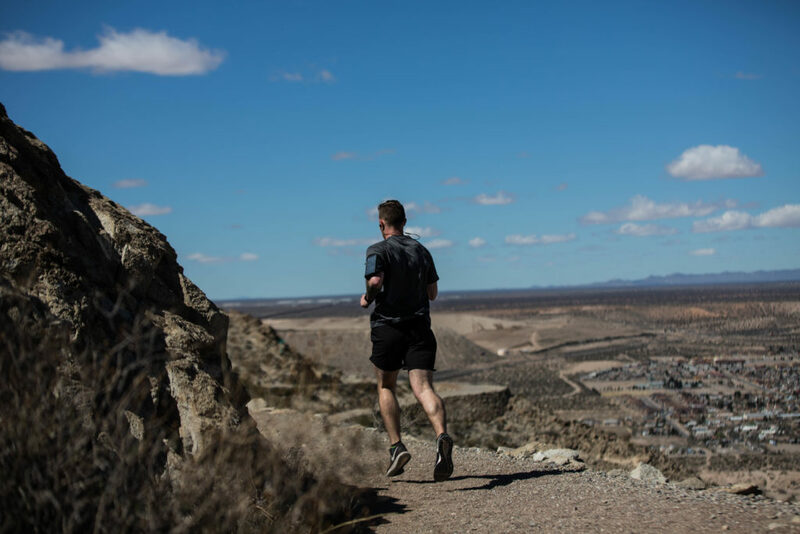 I realized I was pretty out of shape climbing Mount Cristo Rey near Sunland Park, New Mexico. The mountain is high and, in fact, the border here. There’s no fence – the mountain is the obstacle. On a Sunday morning, quite a few locals like this one were running up the mountain. No fear of running into any armed aliens. Not even a glance to the train passing by the wall at the base of the mountain. Life goes on.